Gregory Dehaven Searles Sr. “Greg”, born September 15, 1956, in Philadelphia, PA. He was the only son of the late Mary Elizabeth McDaniels-Searles and Charles Robert Searles,Jr. the Renowned Artist; both parents preceded him in death. He transitioned from this life on March 30, 2019, peacefully in his sleep at his home. Gregory was the middle and only male child of two sisters, eldest sister Vanessa L. Searles-Mitchell currently living and working in Daegu, South Korea and his youngest sister Charmine Y. Searles, preceded him in death do to a rare form of cancer. Gregory grew up in the Germantown Section of Philadelphia, PA where he attended public schools and was a 1975, graduate of University City High School. In the summer of 1976, he moved to Dallas, Texas to attend Bishop College on a scholarship, where he met, courted and married Cheryl Yvette Jernigan on July 22, 1977. After three years of trying, Gregory finally got his wish-their only child, a son-Gregory D. Searles, Jr., born on April 9, 1981. Gregory Sr. decided college was not for him, so he took up a trade at Crozier Technical School of Dallas, Texas, graduating at the top of his class with a State of Texas Certification in Heating, Air Conditioning and Refrigeration. After six years of marriage, Gregory and Cheryl decided to part ways. Soon after, he met and married Lettie Marie Rainwater and her three babies. After eighteen years, their marriage ended in divorce as well. Gregory Sr. attended Oak Cliff Bible Fellowship for a time, where he accepted Christ. He was employed by Wonder Bread Hostess Cupcakes, The Premier Club Luxury Fitness Center at the Top of the Galleria in Dallas, TX, The Dallas County Sheriff’s Department and The UT Southwestern Medical Systems, before retiring on disability. Gregory had a beautiful smile, a great sense of humor and he was a lovable person over all. He never met a stranger and loved flirting with the ladies… He was conscious when it wasn’t cool to be, and he loved his jazz music and some Earth, Wind and Fire. He had two loving, devoted and faithful friends until his demise- childhood friend, Ed Human (Amanda) from Philadelphia, PA and Sheila Hemmingway of Dallas, TX. He will truly be missed by those who love him. 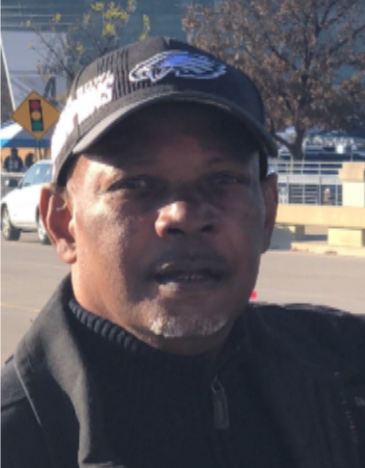 In addition, he had and maintained a very special relationship with his sister-in-law and brother-in- law, Jacqulyn Jernigan and Larry Jernigan until their deaths.